19:15 – 19:25 Officers’ reports – Coordinator, Treasurer. Seymour rd or Hewitt rd unreasonable one-way and sub-standard traffic calming. I’ve you’ve got any comments on the spots we’ll visit, leave a comment below and we’ll add your feedback. 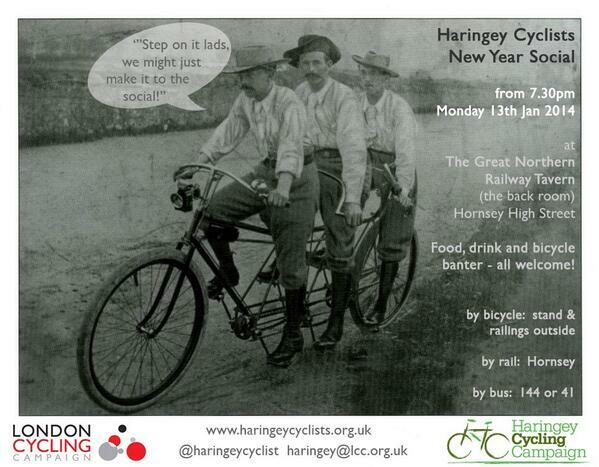 Instead of our monthly meeting on Monday 13th January, we’re having our annual ‘social’ evening. No serious business, just beer, bikes and banter. 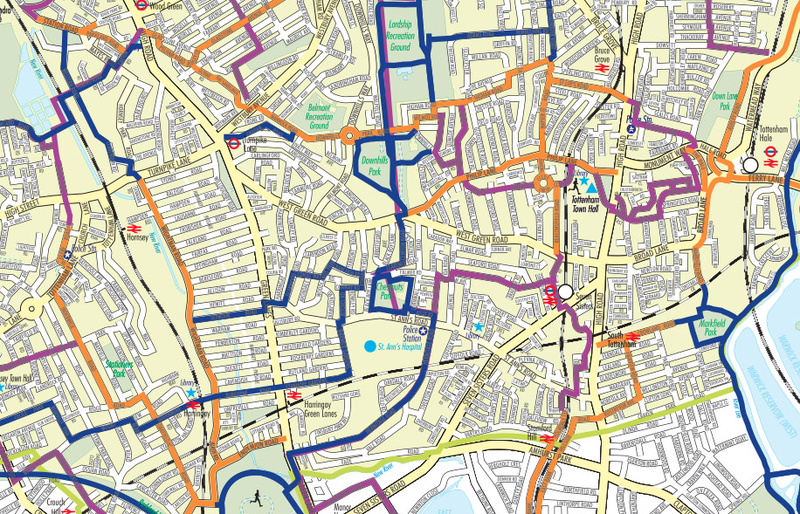 We’re also looking forward to meeting more of our Haringey ‘Space for Cycling’ campaign volunteers. Do drop in, all welcome!